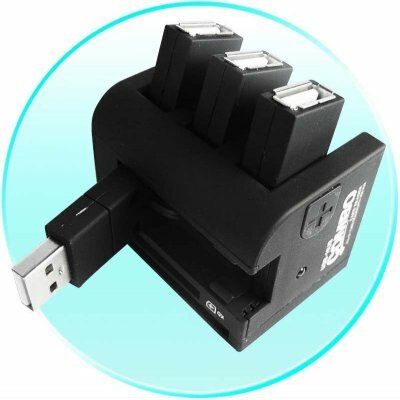 Successfully Added USB 2.0 Hub - Multi Format Card Reader to your Shopping Cart. This wholesale computer gadget is a fully supported USB 2.0 version that can also be used with USB 1.1 and 1.0 devices. The best feature however is that it can be used as a multi format card reader, letting you easily plug almost any memory card into your computer. Of course this USB accessory is plug and play, and with comes with the 1 year Chinavasion Warrantee..
No external power suply is needed.